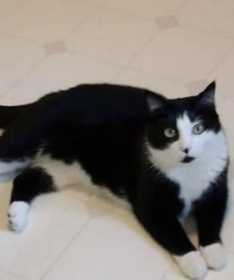 Kissie is a black and white cat with green/yellow eyes. She is microchipped. Missing off Perry Creek Rd.